WARNING: As of February 2016, the Vietnamese Embassy in Australia has issued an official warning about Visa On Arrival companies. Please be aware of this and use at your own risk. Getting a Vietnamese visa in your home country or visiting the Vietnam Embassy in Bangkok is definitely the safest way to go. (Thanks Travelhappy reader Dave for alerting me about this warning). 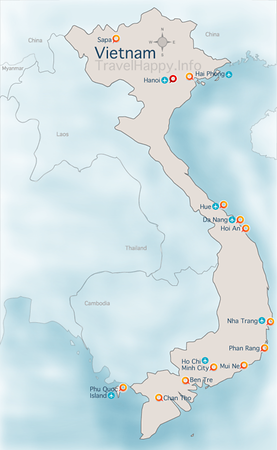 While a bit more involved than other countries, Vietnam does allow foreign travelers to obtain a “Visa on Arrival” or VOA at the airports in Ha Noi, Ho Chi Minh City and Da Nang. It’s important to note the visa must be applied for in advance online BEFORE arrival in Vietnam. 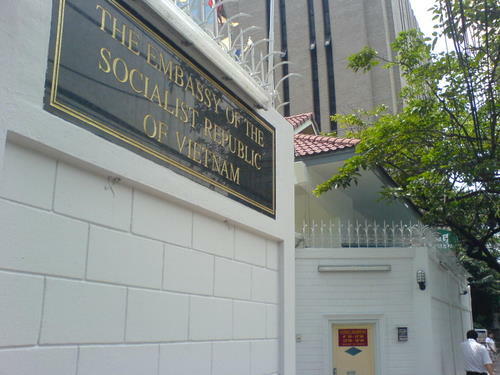 Since the process to obtain approval is performed by local travel agents and not the Embassy, Vietnam hasn’t publicized the availability of this service, and frequently travelers don’t know how to obtain a Vietnam “Visa On Arrival”. It’s also important to note that this process will NOT work for those arriving at any other airport or at a land border – you will need to get a visa from an embassy in the traditional way. While there are a few different companies advertising this service, I chose My Vietnam Visa after reading through a few forums chronicling people’s experience with different providers and their costs. While you can look at their website for the fees charged for different visas, a 1 month, single entry visa, My Vietnam Visa charged me $19.99 to obtain the approval letter. In addition, the VOA will cost you $25USD at the airport when you arrive. What you’re really paying for isn’t a visa, but an approval letter that allows you to receive a visa when you arrive at either Ha Noi or HCMC airport. My Vietnam Visa will email you (in .jpg format) a copy of that approval letter within 2 working days. I happened to apply over the Tet holiday and received an email promptly telling me that there would be a delay since it was a national holiday. I was impressed that I not only got an email informing me of the delay, on Tet no less, but still got the visa in 2 working days. In addition to your approval letter, you’ll need to bring $25USD and two passport photos when you arrive at the airport. (Remember to keep the passport photos and cash on you during the flight, not in your checked in luggage!). In Ha Noi, after arriving and descending the staircases from the gates you’ll see all the immigration counters to your right. Instead, go straight ahead to the Visa on Arrival window/counter. Don’t go to the normal immigration lines as you’ll just be sent back to the VOA counter. (I haven’t been to the location at the HCMC airport, but am told the visa on arrival counter is on your left as you approach the main immigration counters.) At the counter, you’ll hand over your passport and photos and be given a simple form to fill out. Walk around to the other side of the counter (it’s a double sided booth basically) and fill out the forms and wait for your name to be called. After they call your name, pay the $25USD fee and pick up your passport with your new visa inside. With about a dozen people applying at the same time, it took me about 15 minutes to go through the process. However, be aware that sometimes there can be large queues to collect visas and it can be somewhat chaotic. Afterwards, head back to the regular immigration counters to be processed with everyone else and enjoy your visit to Vietnam. See Travelhappy’s Vietnam section for lots more tips on how to make the most of your time in Vietnam, and our Packing List for Vietnam for a breakdown of what to think about bringing when you’re planning your trip.